2018 was the busiest year to date. It saw us take the School of Noise overseas for the first time to visit to Ireland, The Netherlands, United Arab Emirates and Oman. Thank you to all the festivals, schools, arts centres, museums and charities who invited us to take part in their activities. And thank you too to everyone who came to visit our workshops. 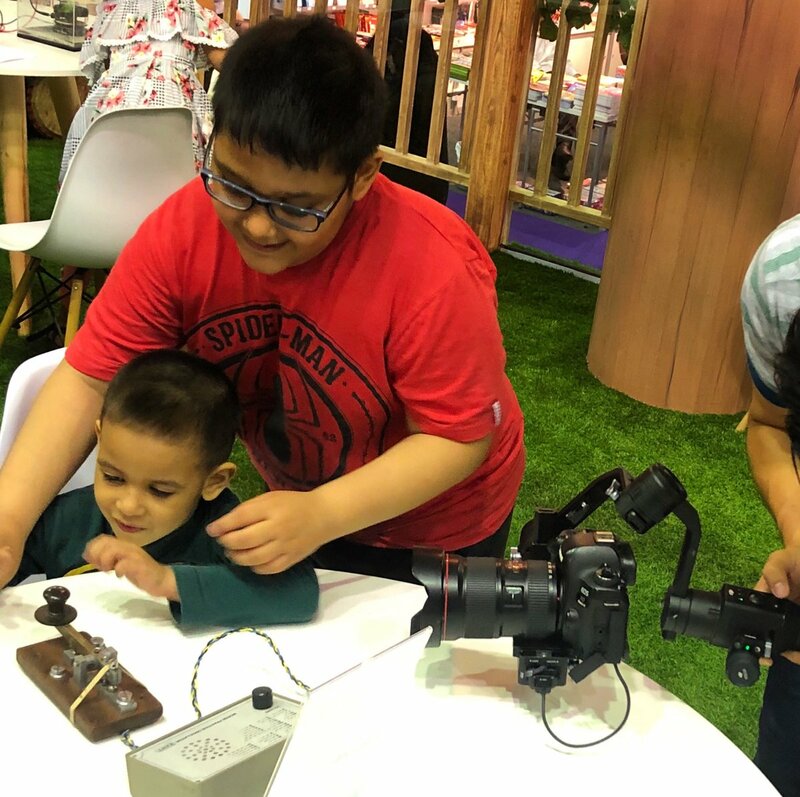 In November 2018 we were invited to visit the Royal Opera House in Muscat to deliver a day of family sound workshops. 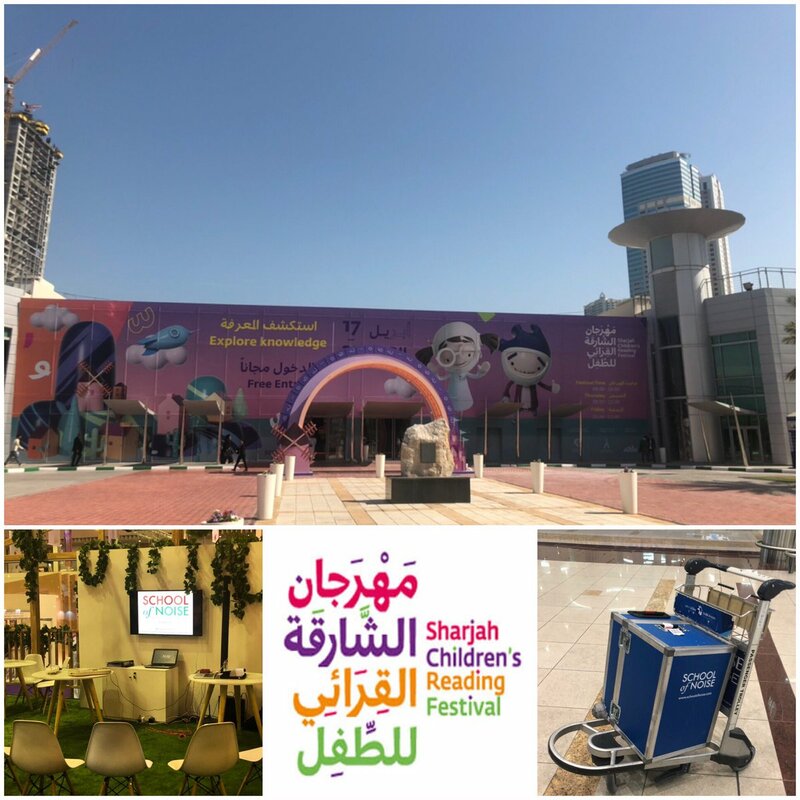 We recently visited the United Arab Emirates to take part in the Sharjah Children’s Reading Festival. 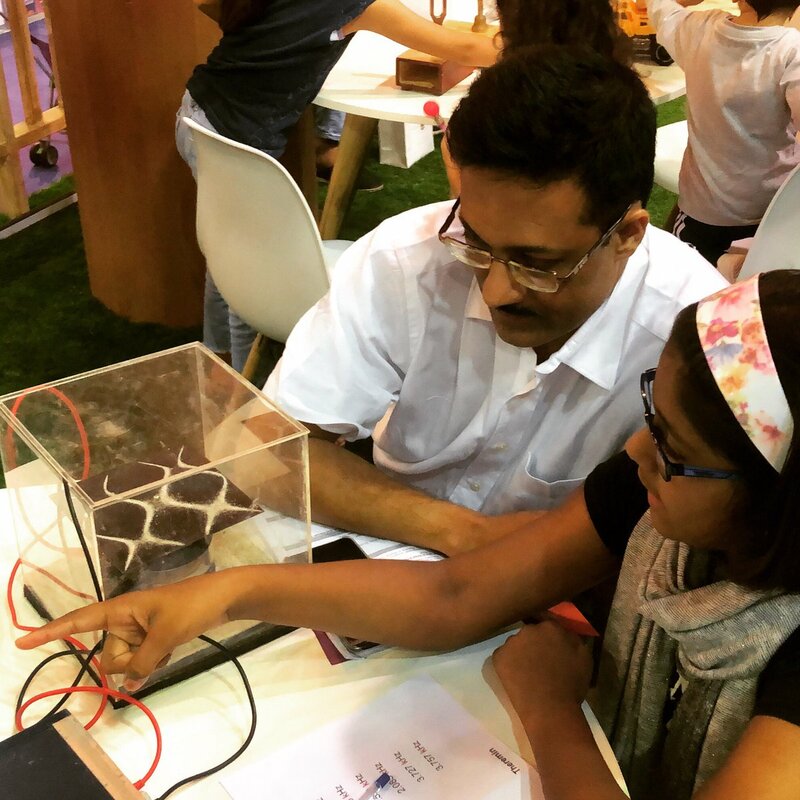 During the 11 day expo we saw over 1000 children attend our workshops! Thank you to everyone who came along and to the organisers for inviting us. We are excited to be part of Illuminations Festival at the Museum of London on the 29th October. Throughout the evening people will have opportunity to have a hands on play with our noise making machines and scientific sound apparatus.